I have been following the results of individualized transcranial magnetic stimulation (iTMS) and similar treatments for quite some time. I knew I wanted to try it for my son Harry, but I wanted to wait until I felt that he would receive the most benefit from it. So, we cleaned up his gut and his detox pathways and dealt with bacteria, viruses, and parasites. We have used many modalities of treatment—Western medicine, biomedical approaches, homeopathy, herbals, and all kinds of alternative treatments—but I have felt a pull to do iTMS for a long time. During the month of October, we finally jumped in the deep-end. We decided to use iSynchrony in Oakton, Virginia, which is just outside Washington DC. We did the treatment every weekday for five weeks total because that is the length of time I could reasonably commit to being far away from home. Each session lasts somewhere between 20 minutes and an hour, depending on a host of variables. You commit to a trial period first—somewhere between a week and two weeks—and then can decide to commit to the rest of the treatment period, depending on results. What is iTMS, you ask? Well, it is basically a big powerful magnet that is pulsed on different areas of your head to help the brain in different ways. 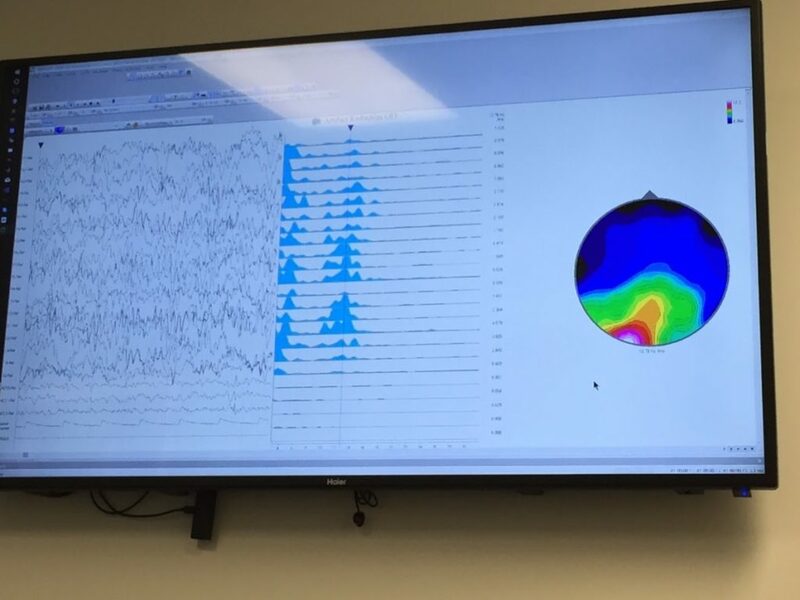 Using a well-established technology, the electroencephalogram (EEG), we analyze our patients’ brain wave activity to identify the areas that are “out of sync.” With this data, we create a customized plan to treat psychiatric and neurological disorders utilizing individualized Transcranial Magnetic Stimulation (iTMS). iSynchrony’s Dr. Bob Silvetz has a tremendous amount of experience in treating the brain, and his list of credentials is impressive. iTMS is used in a number of conditions: depression, opioid addiction, chemo brain, PTSD, anxiety, stroke-related motor planning, dementia, insomnia, and yes, autism. The general idea is that your brain is like an orchestra—this is how it was explained to me—and, in autism, the conductor is out to lunch, so the string section isn’t playing. The magnet is pulsed, and it attempts to tell neurons hanging out elsewhere to get to the place the magnet is asking them to go. You can find all the technical details on their website, but I’ll tell you about how we experienced it. 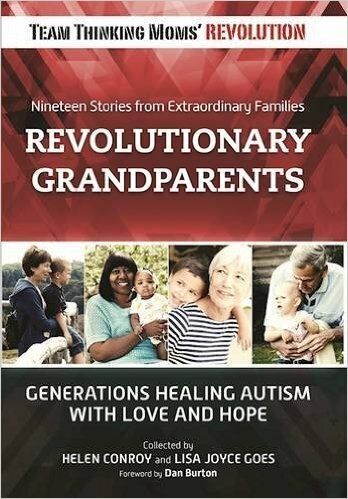 To give the reader a baseline, we started on this journey before Harry was two, when he was diagnosed with severe nonverbal autism with an ATEC of around 115. At the start of iTMS, his ATEC was in the high 20s. Our most significant problem at present is apraxia, a speech planning disorder. He has gained some language in the last 18 months, and he has kept the gains. He is limited to mostly one word at a time though, and lots of letter sounds are hard for him, especially v, j, n, f and z. We do not have many behavior problems at this point, but he is extremely fearful of haircuts and EEGs—well, anything on his head. He is okay with our dog, but fearful of other dogs. He is easy to be around and does not bolt or elope. He presents as severe ADHD with little focus, and we get a lot of “unavailable to learn”-type comments. We went into the office, filled out some forms, and consulted with Dr. Bob. Dr. Bob watched Harry—they have a room with a crash pad that Harry really liked—and made some initial observations. We went through an extensive health history. Then we went in to do an EEG. Harry HATES EEGs (and haircuts), but this one wasn’t so bad. It is super state-of-the-art and looks like an old-time padded hockey helmet with little nodules on it. No gel, no glue, no mess, and very little trauma. They only need about four minutes of calm and still to get the data they need. We got maybe 10 seconds of actual stillness on day one, but it was enough to get a baseline reading at least and enough to determine where we should start to place the magnets. 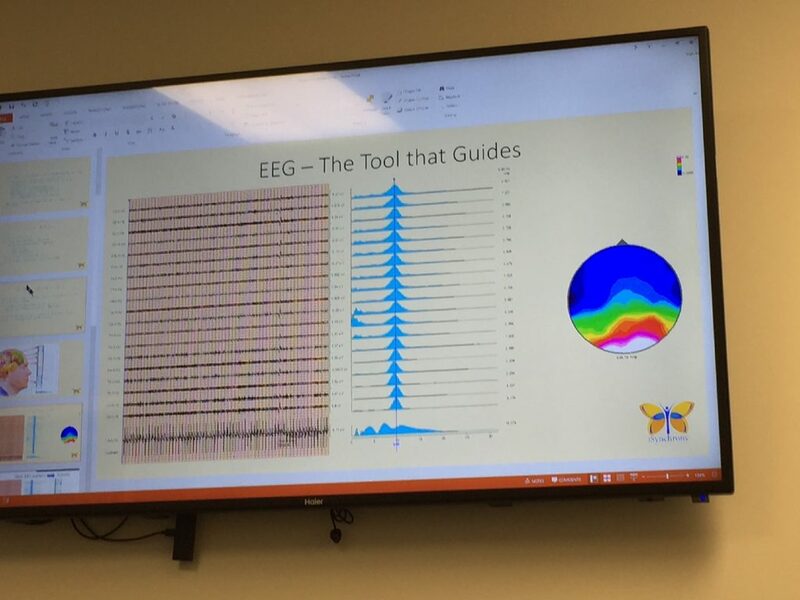 Dr. Bob took us into a conference room and showed us some slides of a “normal” brain and normal brain activity. Harry’s EEG showed virtually no frontal-lobe activity. He was basically walking around in a “sleep state” all day. This was crushing to me after all the work we’ve done, but it made a lot of sense too. One cool thing we found out that day—the typical range for alpha-wave frequency in humans is 8.5–10.5. Harry’s was 13. Who else processes that fast? Olympic athletes and the entire Chinese ping-pong team. So, all we need to do is recover him from autism and we’ll have a professional athlete who can see the stitches of a baseball when it’s thrown at him at 100 mph. But, you know, no pressure. We decided to place the magnet on his forehead, where we wanted more brain activity. He was uneasy the first day, but he must have liked it because he let us do the entire session. The session is broken down into the number of trains—how many times the magnet pulses—the time in between the trains, the length of the train, the frequency, and the strength. It’s part science, part art as far as I can tell. After the first session, we went to Whole Foods and shopped. In the checkout line, I asked him to help me unload the cart. The week before, at home in Florida, I unloaded an item hand-over-hand with him, then he wandered away and lost interest. That day he unloaded the whole cart for me without assistance. We continued for two weeks and did another EEG. I knew there would be a change on the EEG because we were seeing small changes: a few words here and there, and increased imitation. 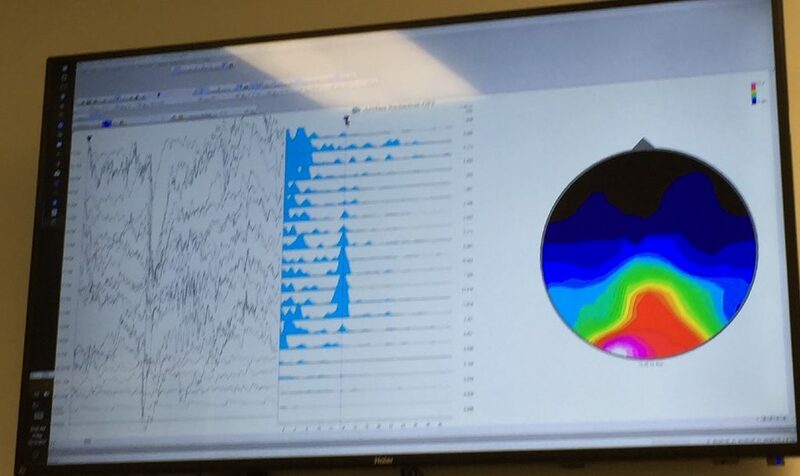 The EEG indeed showed activity in the frontal lobe. He was more amenable to the EEG as well. We decided we had seen enough from the trial period (which as I said can be anywhere from a week to two weeks, but in our case was the full two weeks) to continue treatment for the next three weeks. That weekend my husband and my other two kids flew up to DC, and they noticed a few changes. At the zoo my daughter followed an elephant footprint trail for a quarter of a mile or so. Harry watched her—and walked it to the end, stepping carefully on each footprint. He watched the elephants feed intently—almost like he was seeing them for the first time. And later, in front of the Washington monument, he watched my daughter roll sideways down a hill. He paused, then tried it, belly laughed, and kept rolling. We had never seen him do that before. I was really frustrated. I felt like we didn’t see a whole lot. I felt very stuck—like I had completed the two-week trial period, paid more money, and then someone pressed the pause button. Dr. Bob was very understanding. He ran an additional EEG and showed me on paper that we were making progress even though it wasn’t yet translating into material gains. So, we kept going. But we made some adjustments. We moved the magnet to the side of his head where the speech center was. Dr. Bob had tried this in week two, but Harry did not cooperate. We decided we would split the sessions, placing the magnet on his forehead half the session and for the other half-session on the side of his head, just over the ear. Week four was nothing short of a miracle. Harry started sleeping better. We were staying in a friend’s guest room, sharing a queen-size bed. Every time I woke up to use the restroom in the first three weeks, he flew out of bed. Dr. Bob had explained that even though he was a good sleeper, he wasn’t getting deep REM sleep. During week four he slept like a log and didn’t wake up when I did. Tuesday of that week I woke him up and he looked at me and said, “back sleepy.” By the end of the week, he was saying, “back to sleep.” He also answered his first spontaneous question. My friend asked him, “How was your day?”, and he reported “good” without prompting. We never had that before. He was able to repeat a lot more. He could also hear differences in language for what seemed like the first time. He had been able to say most of the alphabet before we went, but said the sounds rather than the letter names. I would say AY, BEE, SEE, DEE, and he would say AH, BUH, CUH, DUH like he could not hear the difference. That changed week four, and he started reciting it the way most people do. He began counting out loud too. I was doing homeschool-based lessons on the iPad, as I had pulled him from school for five weeks to do the treatment. He focused for two straight hours every day that week and often demanded more reading or math. He kept doing the lessons even when I stopped. Focus was very visibly improving. He was requesting “magnets” every morning. We also had him around a number of dogs and, though he had to warm up to each one individually, he did so quickly. We had more gains. Harry loves the car wash, but it needs to be the kind you drive through while you are inside the car. He requested “car wash,” and I was sandwiched in a single-file line before I realized the car wash was one where we had to exit our vehicle. I explained to him that we needed to get out but that we could watch the car being washed through a window inside the building. Before the treatment this would have ended with me begging the management to let us sit in the car to avoid a meltdown. Instead, Harry looked at me, weighed the information, and decided to take a chance. And he loved the opposite view—watching the cars from the outside. He followed directions better and really responded to reasoning at a new level too. He wasn’t triggering so quickly. He fell in love with the Natural History Museum and made me take him four times. Oh, and we are big on narwhals now. We also went into a bookstore in DC where he found books he loved as a baby—Goodnight Moon, and some Sandra Boynton books—and he read each word to me. Lots of word fragments and approximations, but the intent was the same. Those gains continued into week five. We decided to double up the sessions in our last week—spacing the two sessions three hours apart each day. That week we heard clearer phrases (“our house,” “Kim’s pool,” “go jump”), clearer words in general, got the F sound (he could finally bite his lip to do it), and he managed to say the letter W (“double you”) instead of the sound. And then Thursday I decided to see if there were less concrete gains as well. When I mentioned that Harry hates haircuts, I was not kidding. It usually takes my husband holding his arms and torso and my 11-year-old son holding his legs to get a cut completed. It’s rough, and we all end up in tears. I walked him into a kiddie-cut place. He sat in my lap and refused the cape, but he didn’t move. I did not hold his hands or restrain him in any way. He watched the stylist in the mirror with interest and didn’t flinch when she cut around his ears. This is such a big thing for him, I was bursting with pride. So was Harry. We went in and did the last EEG. Harry sat still for the full four minutes without complaint. He even managed to follow directions and kept his eyes closed the entire time. It showed a lot of progress, but there is still more to go. Dr. Bob thought it would be a slow burn—meaning we kick started Harry’s brain and it would continue to make progress after we came home. Dr. Bob still thinks he isn’t getting deep REM sleep. We have been home a little over a week. Reports from school indicate more focus and more words and word attempts. He attempts to repeat everything you ask. He is reading short books aloud (he could read before, but we only knew because of multiple-choice comprehension questions on the iPad). He wrote a few sentences this week. He was pretty flexible before, but this weekend when we were running errands he was able to verbally communicate that he was “all done” and wanted to “go home.” He got his wish. I am excited to see the gains continue and would like to go back for another three months. But, you know, life and money, right? We will get there. There are people who think this intervention opens the blood–brain barrier. We kept that in mind and were careful to limit toxins. We kept the same organic, GFCFSF, grain-free diet, used Fiji water exclusively (the high silica content binds to aluminum and helps it exit from the brain), and used an EMF-blocking pillow. I kept his supplements the same during treatment. In all, I feel this was the right intervention at the right time. I would (and I will) do it again, and I feel like we gained and grew a tremendous amount in a very short period of time. It was a very successful treatment. For anyone considering it, I would advise the following: Before you do this, make sure the detox pathways are open. Drain and detox first, get the gut in good shape, then do this. I know so many veteran warrior moms who have brought their kiddos so, so far but have not yet crossed the finish line to recovery. If you’ve stalled or plateaued, this might be the kick start you need. Research this treatment. Dr. Bob and his wife, Lorraine, were great to talk with and very patiently answered all my questions. They will help with finding affordable accommodations if needed. Weigh the cost vs. the possible gains in such a short time period, and if you feel called, go for it! iSynchrony has generously offered TMR readers a very special discount. If five readers are treated during the same time period concurrently (airb&b a house share, guys! ), they will offer a group discount and each person will get an incredible 50% off their treatment fee (limited time offer). What could be more fun than doing treatment with your autism BFFs? For more by Goddess, click here. 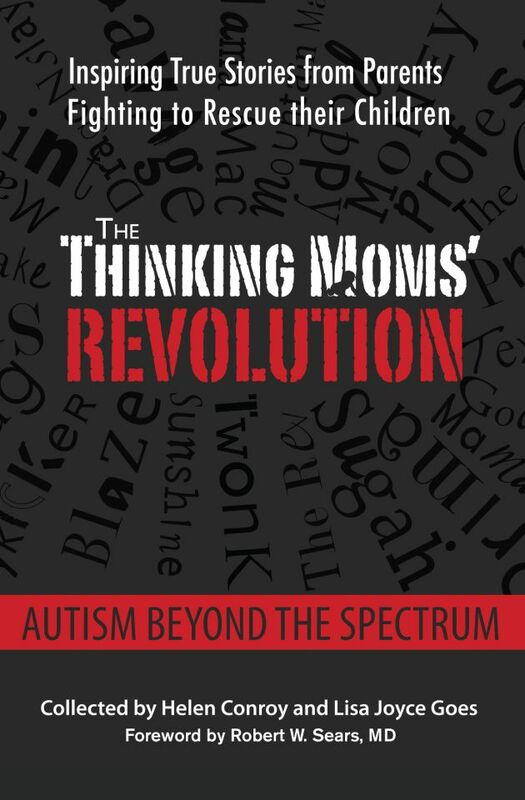 This entry was posted in Blogs by Thinking Moms' Revolution, Goddess TMR and tagged autism, iTMS, transcranial magnetic stimulation. Bookmark the permalink. Hi, I am interested in pursuing TMS for my 10 year old with Autism. I am in CA and would love to know how to find practitioners who will provide this for us. I am guessing that this would have to be private pay. Also, if there are none in CA where can I go in the US for this? Also, I would love to know how your child is doing years after you got the procedure done. thanks for sharing your experience. I look forward to hearing more. While I understand your impulse for your child to fall into the typical range of expression at his age, I wonder if you ever get a glimpse of his authenticity as an atypical human and in those moments do you ever consider that pursuing his authenticity might be a more comfortable and enriching life experience for him and for your family. You describe a neuro typical science event in Virginia in very typical linear terms. Days, 1,2,3,4 … and magnet here or there with charts etc. This is how neuro typicals process. His experience was probably very different. Our experiences are far more non-linear, three dimensional and integrated into more of a whole than a line of separate parts than you describe. What you omitted from your summary, the travel, the new smells, the sound of voices, airplanes flying overhead, the hum of tires on different roads, different buildings, moving through newly encounter doors, the sum total of all of these sensory experiences by comparison to your compartmentalized science report, would completely overwhelm the Dr. Bob part in a spectrum mind. We develop more slowly because our processing matrix is much bigger that typical and more complex. Parental impatience, as we become familiar with our vast internal landscape, is painful. Maybe your family needs to sit together and play a simple game. Family members ask one another a question, If you could change yourself to be a better person, which behavior, trait, element of you not normal son would you copy from him and make your own? In other words, what can you receive from him to become a better person? These questions are of equal or greater importance than, how can we change him to me like us? It’s been almost a year since Harry’s TMS treatments. I’m curious to know if the gains have stayed? I’m considering doing the treatment in San Diego. I’m fairly convinced of its efficacy but not sure of its staying power. I’m wondering how you found about a practitioner in san diego. Would you mind sharing who this is? I am in CA too and I am looking for one for my child who is 10 years old. I am a spectrum adult over 60. I find this story a little scary. At nine I was very much “in my own world”. It was the 1950s and nothing was generally know about spectrum of neuro diversity. I endured many attempts to make me more “normal” as a child, many of these “techniques” were very disturbing and have had a lasting impact. Fortunately my father, who I believe was also neuro diverse, was a great help. He was an innovator and very useful to me with his wide range od acceptance. My mother was unrelenting in her attempts to “cure” me. I never forgave her. All I can offer parents, who are obviously very committed to a “better life” for their spectrum children, is there are risks that you and the neuro typical doctors cannot imagine. At 9 years old I was trying very hard to understand my input processing matrix. I assumed my fellow students were doing the same, but that was not true because their processing was quite different than mine. My conventional education of non-acceptance was an experience like a combination of holding my breath under water and pedaling as fast as I could. My feeling now is that at 9 years old I essentially understood very little about my authentic processing. It would be another 15 years before I was able to use my process effectively. Part of the reason that my understanding took me so long, I am sure, was because of all the attempts to “get me on track” as a normal child were such distractions, well meaning as they might have been. Consider that neuro diversity might be nature’s contribution to the evolution of mankind. Perhaps part of that future evolution is a greatly expanded life expectancy. The number of Americans living to be 100 is up 44% since 2000, for example. In that context 9 years old is very young, with a life holding plenty of time to understand and access a unique personal processing context. 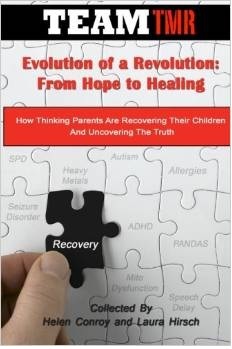 Meanwhile, many parents impatiently pursue treatments that are aimed at immediate outcomes that in another temporal context might be irrelevant, not to mention painful and distracting, in relation to the real and important, albeit different, process their child possesses and needs to understand. There is a reason the phrase, “Nothing about us without us” is gaining widespread support in the adult spectrum community. We remember. Thank you for offering your insight on this subject. It’s a valuable one that most of today’s autism parents don’t have, at least in part because autism is new to them. I’m so very sorry that your mother’s behavior led you to believe that you were not valued as you were. No one should have to feel like that. Unfortunately, many parents feel that they are not doing their job as parents if they do not “correct” the things that are “wrong” with their children, no matter what those things are. My own mother put me on a diet at nine, probably setting me up for many long years of disordered eating. I know Goddess and Harry personally, and I know that Harry knows down to his bones that she loves him as he is, but it’s always wise to spend time reflecting on our motivations for the actions we choose. Nine is indeed young if one is thinking in terms of people who live to 100, but unfortunately, the life expectancy for people with ASD is more like 36 as I posted on another thread. That thought makes the idea of interventions more urgent for many parents. This urgency has to be balanced with respect for the child and the child’s processing, however, as you recommend. I think your perspective is one that can be very valuable and enlightening for many of our readers. Would you be interested in discussing your experiences further in a blog post? We have posted several other blogs by adults with autism, and they are truly appreciated by parents who wish to have a greater understanding of what is going on in their children’s minds. Warm fuzzy replies like this are characteristic of the lack of insight and respect for a neuro diverse mind. Like Noah’s tee shirt from ASPERGER’S ARE US says, “I don’t want your pity. Your justification for parental impatience is off the mark. Your inability to expand your concept of what is natural to many is reflected in this politically correct comment. Sad. Wow. Thanks for completely dismissing my thoughts while expressing yours. I wasn’t “pitying” you any more than I “pity” myself (which, frankly, is not at all). Relating to someone’s experience is not about pity. It’s about building bridges of understanding. Bridges I thought you were interested in from our other conversation, but apparently not. Most people who use the term “politically correct” use it to disparage simple human decency. Unfortunately, you don’t seem to be the exception to that. Sad. According to you, because YOU have made it to 60 years of age, my “justification” for “parental impatience” is “off the mark.” And I say to you that your casual dismissal of the fact that the average person with ASD only makes it to 36 will sound more than a bit “off the mark” to the parents of any one of those children, and perhaps even to the children themselves. You want to talk about “expanding my concept of what is natural”? Interesting, because you don’t seem to understand that it is natural for a loving parent to want to provide their children with the mental, physical, and emotional skills to have long, happy lives. It is also natural for those children to want that for themselves. At present, some lucky people like you are able to do that with ASD, but many more are not. You have no right to dismiss their lives and experience because they don’t fit your vision of a neurodiverse utopia. Great, now the person supporting charging a child’s head with electrical current is the victim. Where did I say anyone was a “victim”? That’s your viewpoint, not mine. The only judgments I see are coming from you. Me? I see parents trying to do the best by their kids, and adults who wish their parents and society had done better by them and want people to know how they can. Excuse me for thinking those two groups could learn a lot from each other. 15 hours ago – Breaking NEWS!! Nobel Laureate Luc Montagnier says,. “We risk with vaccines to poison little by little all the population that will succeed us, children, babies.”. I am interested in how you did that as well. So, so happy to hear about Harry’s progress. 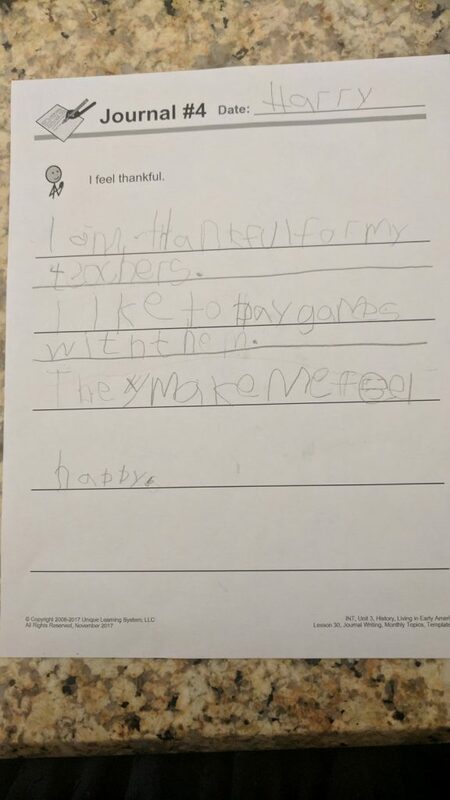 Congratulations and Happy Thanksgiving ! Thank you for sharing this. Very glad you saw some wonderful progress in your son! Praying for his continued healing, recovery, and growth! Wonderful Story , so pleased about Harrys success . Keep going Harry . God bless . Nootropics isn’t just for Autism . What about trying it yourself ? & me too ? How expensive is this ? And why is it expensive at all ? I want to try this for myself on me , and whilst it is true that not everyone thinks I am neurotypical , I believe I am . At isynchrony it is $1250 for the trial period and $7500 all in. If you get a group of 5 people to do it together, your all-in would be $3750 instead – $1250 for the trial and then the rest if you move forward. I would love to try it on my whole family but $…you know? The machines and the EEG cap they use are very expensive, hence the cost. Goddess , just because I always think this way , can there be any true justification for these current prices ? Researching why the prices are at these astronomical levels ! Thank you for sharing your good news. I’m curious about your use of an iPad that you mentioned you use with your son. As part of the detoxing your mentioned, I would detox your son’s external environment as well; remove all wireless routers, modems, laptops, iPads, cell phones, iNests, Smart Meters, etc from your home. The WHO and 20,000 studies report negative biological effects of electromagnetic radiation from wireless devices. Also, Dr Victoria Dunkley’s work/book: Reset Your Child’s Brain, contains excellent testimonials of recovering children after electronic fasts. You are totally, 100% right. I love Dr. Dunckley – she presented during our ADHD conference. However, we were far from home, I still had to work remotely, and I had to keep him busy the other 23 hours of the day. And so, he did get some ipad time while we were there. In a perfect world, I wouldn’t have given it to him, but, I did. What was Harry’s age at the time of this treatment? Loved reading this, thank you for sharing. We’ve been thinking about this a long time too. Do you see this as something to try at the very end? My daughter has been very much a non responder…. she has a mcs so its kind of hard to try anything really. We have added prebiotics based on the NP. We muscle test everything and found a brand that works for her (not inulin). Also for dosing and give her 1/2 tspn at night and she is sleeping through the night. There was a study done on prebiotics and sleep. Anyways we are still far from recovery in the 8os or 90s… anyways thank you for sharing your journey. Not necessarily at the very end – if you feel like it might be helpful, call them. The way it works is you do a trial period first – so you are not putting down all the money upfront. If it helps, you keep going. They have some very compelling videos of kids that made a ton of progress. And let me say this – off iTMS topic. Harry was dx’d at 19 months and didnt really respond to anything for a full year and we threw everything at him. 2 1/2 years into treatment we got our first big break. Do not get discouraged…I always keep in mind a little sign I saw once that says “Keep Going. When you think you have tried everything, remember this: You Haven’t” Our kids can and do get better!! Hi Goddess, any chance I could email you privately with specific questions? Thank you so much for sharing your experience! Sure – PM the TMR FB page and we can go from there!